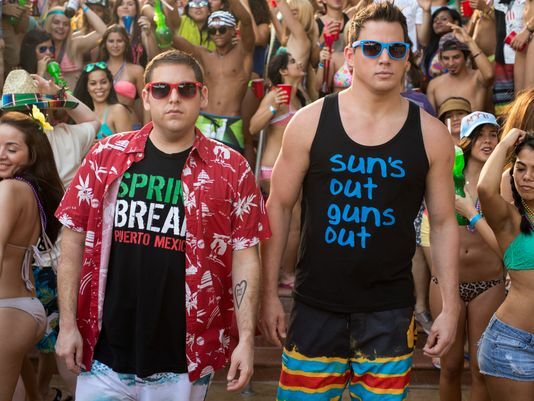 Film Review: ’22 Jump Street’!! The movie theater chains across America are plagued with sequels, reboots, and remakes these days. It seems like almost every film out there is either a sequel or a remake of an older film, leaving the original indie films left out to dry for the more independent theaters or video-on-demand. While you want these sequels and remakes to be just as good as the original or first film, most of them fall a little short, or are down right terrible. There are only a select few sequels that receive the praise and box office power that have audiences across the globe cheering its name. And I’m happy to report that ‘22 Jump Street‘ falls into that category, maybe even being towards the top of that list. First off, the sequel to ‘21 Jump Street‘, now titled ‘22 Jump Street‘ is funny as hell. I lost my breath from laughter several times throughout the film. Almost everybody is back this time around to add to the hysterical comedy. Directors Phil Lord and Christopher Miller are back in the director’s chair again, and have just come off their massive hit ‘Lego Movie‘. These two guys are definitely the future of filmmaking. They have a very successful track record so far and with this sequel that promises bigger action sequences, more cameos, and bigger stunts, they delivered on every level. One thing I love about this revamp of the hit TV show from the 80s, is that it is very self aware, as we are told by Deputy Chief Hardy (Nick Offerman) that his “department” is surprised that the first go-around of ‘Jump Street’ did so well, and since it passed people’s expectations, there was going to be another case with a bigger budget in hopes of a good return (wink wink). ‘22 Jump Street‘ is directly across the street from ‘21 Jump Street‘, and instead of a Korean Jesus, we have a Vietnamese Jesus. Schmidt and Jenko (Jonah Hill and Channing Tatum) are enrolled in online college courses, looking for professor’s who are using secret code in their lectures to inform people of drug deals. After a giant and hilarious car-chase that involves animal life, Schmidt and Jenko are back at ‘Jump Street’ in front of their boss Captain Dickson (Ice Cube, excellent), who informs them they are going to do the same thing as they did the first time around, only with better gear and more money. It’s the same set-up, as the unlikely duo are sent undercover to a local college to investigate a new drug that recently killed a student, and is about to make its way across campuses around the nation. This time around, Schmidt and Jenko assume their alter egos Doug and Brad Mcquaid, but don’t get them mixed up this time, as Schmidt is in art classes and Jenko tries out for football and is accepted into a fraternity. Meanwhile, Schmidt charms a nice girl named Maya (the beautiful Amber Stevens). The rest of the film plays out much like the first film did, but with even funnier jokes, and bigger action set pieces. Tatum and Hill’s chemistry is off the charts. I think they are best friends in real-life, or at least it seems that way, and the two play off each other incredibly. Tatum just owns this role and has perfect comedic delivery, while Hill is the king of improv. Ice Cube receives more screen-time in this sequel, and still has me laughing as I write this and as you read this with some of the things his character did. Jillian Bell (‘Workaholics‘) shows up too and proves that she is still one of the top comedic actresses in the business today. Possibly my only complaint is that I didn’t think Maya’s character was fleshed out all that well. I loved Brie Larson’s character from the first film along with her charm and wit, but with Maya, things felt lazy. But that is so minor in the scheme of this excellent film, that you won’t think twice about it. Be sure to stay through the incredible end credit sequence for a final scene. ‘22 Jump Street‘ is funny as hell and should be allowed to have ten more sequels. 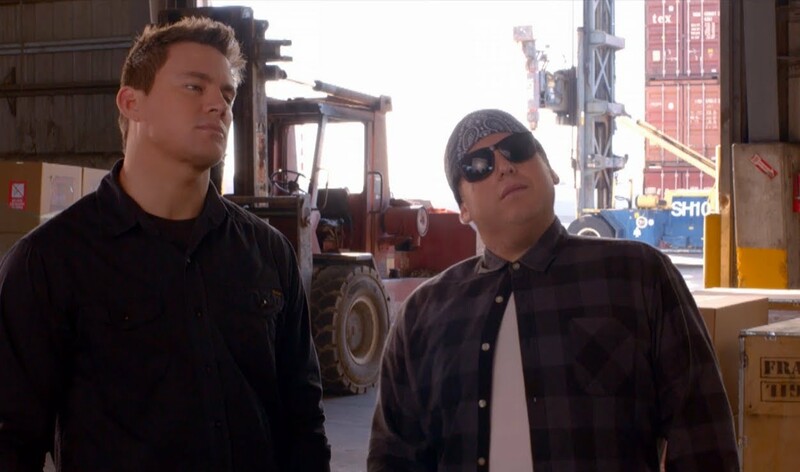 Get A Load of This Hilarious New Trailer For ’22 Jump Street’!! 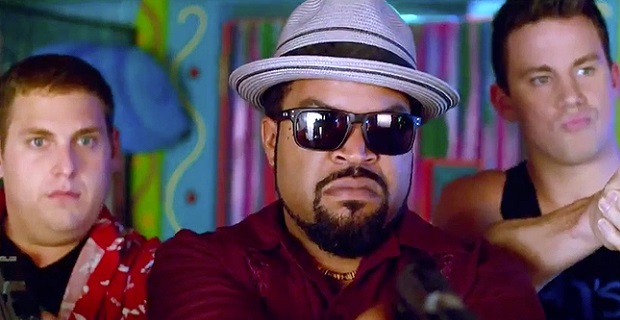 Check Out The Amazing and Hilarious New Trailer for ’22 Jump Street’!! This entry was posted on Wednesday, June 11th, 2014 at 6:32 pm	and is filed under Film, News. You can follow any responses to this entry through the RSS 2.0 feed. You can skip to the end and leave a response. Pinging is currently not allowed. « Check Out How Cool ‘The Wonder Years’ Dvd Set Is!! Hello, I am C-3PO, human cyborg relations. How might I serve you?